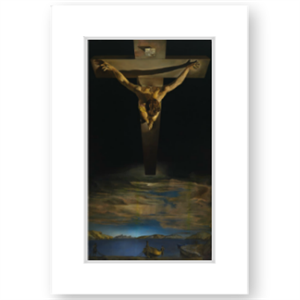 Dali 'Christ of St John of the Cross' available as a mounted print suitable for framing. This stunning reproduction is printed with exceptional detail and on art quality paper. The original painting is the centre piece of the Kelvingrove Art Gallery and Museum collection.